Wheelchair Basketball is the most played disability sport in the world. It is a physically demanding sport whilst still being a great way to make friends, be part of a team and see the world! 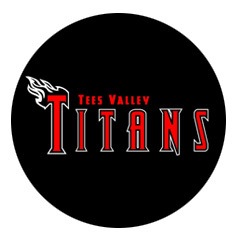 The London Titans club is based in London and is the largest and most successful Southern England club. We are an amalgamation of two highly successful London clubs; The Hounslow Hurricanes formed in 1988 and the Raiders formed in 1998.
Who can play wheelchair basketball? Wheelchair basketball can be played by anyone who is able to push a wheelchair. As a club we are able to cater for male & female players of any age from absolute beginners to elite athletes. How is competition made fair? What is the cost to train with London Titans? There is no cost to come along and try wheelchair basketball initally. If you wish to attend regularly you can either pay £5 per session or £72 for the year. How much does it cost to play competitive matches? The cost to play in the national league is determined by the league you wish to play in and your age. It is currently £30 for an adult to play in the national league which is charged by British Wheelchair Basketball. The club also charges an annual subscription of £144 which covers all the cost of playing in the national league and general running costs of the club. Do I have to play competitive matches? No, you are welcome to come along and train without the pressure of playing in a competitive environment. Do I need to have my own basketball wheelchair? We are able to loan basketball wheelchairs to new members. Wheelchairs are available at all our training venues although it is advisable to contact us prior to coming along to ensure we are able to meet your needs. Who coaches at London Titans? We have many grade 2 coaches within the club including Paralympic athletes who are able to provide high standard of coaching to people of all abilities. Can my friends and family join in? We encourage friends and family to get into wheelchairs and try the sport. This 2018/19 season will see London Titans Wheelchair Basketball Club field seven teams competing across various leagues. We currently have four teams in the National League , one junior league team and one women league teams . We have several players within the Great Britain performance program including Christy Gregan & Sophie Paterson who have recently been given grants from Path to Success to aid them in their goals to compete at the 2020 Paralympics in Tokyo. We wish all our teams the best of luck! If you want to speak to someone before coming along to training, please use the contact form or phone numbers at the foot of this page. © Copyright 2017 London Titans. All Rights Reserved.